Here are our top 10 Gifts to give for Christmas! These are our best selling gifts, that are really special and unique. 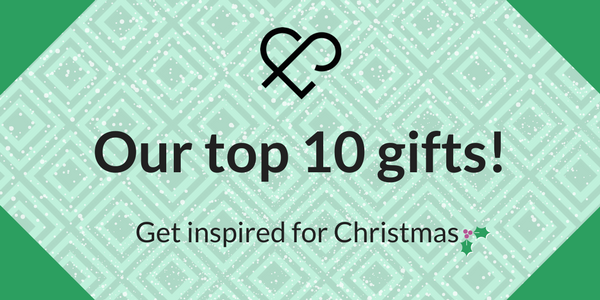 Take a look below at our top 10 countdown of gifts to give this Christmas. My House History is a fascinating made-to-order portfolio, presenting historical Ordnance Survey map extracts centred on your home or area of choice. A fascinating way to find out the history of your beloved home. Take a look at our Best Sellers on our website. Gifts with a personal touch. Find the perfect gift! A very personal gift that can be treasured forever. Our Framed Map Gifts are available in unique map shapes and gorgeous wooden frames, so you can find the perfect present for someone special. What better way to treasure those special locations than to frame them for your home. Our Personalised Framed Camper Van Map is £49.99 and looks great in the home. A very romantic gift for your partner or a wonderful wedding present. A gorgeous piece of home decor and can be kept forever. Personalise it with your names and choose the maps from where each of the couple lived before they were brought together. Have you got an anniversary coming up or a special occasion? Our Trio of Personalised Framed Map Hearts is a wonderful gift. 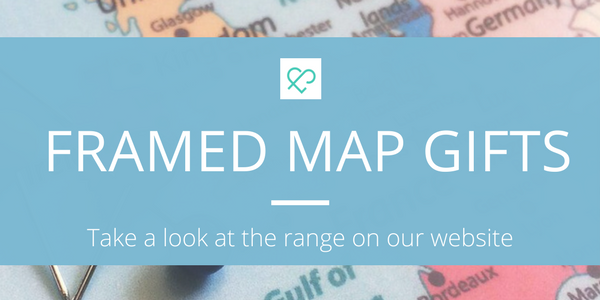 Choose the maps that you would like to display in the hearts that are special to you or your recipient. There are so many great gifts on our website for you to find. We make all of our gifts in our lovely workshop in Devon, many of which you can have specially personalised with your name, a location or a special message.